Seats 130 (+80 outdoor, in 2 areas). Private dining/groups (1 indoor semi private area;1 outdoor semi private area). Open 7 days in summer, 11.30am until late. L 12pm -3.30pm, D 4pm - late. L & D à la carte, group set D from €30+sc. Tapas menu Tue-Fri 4-6pm, 3 items €15; Sun L à la carte; All Day menu; Childrens Menu €10. Wine from€22 bottle/ €6 glass; local/house beers; cocktail menu. Wheelchiar accessible; dogs welcome. Closed Mon in winter. Amex, MasterCard, Visa. Tucked between King Johns Castle and the Market House Arts Centre in the heart of Dungarvan, this attractive restaurant and bar hit the ground running when it opened in the summer of 2017. Owned by the Pettit family from Clonmel, who have the hospitality gene in spades, it's an imaginative redevelopment of an old property and - whether it's for the welcoming climbing jasmine plants that flank the front door, the menus on display (including one for 'Canine Cuisine' which is bound to catch every dog-lover's eye), or the rustic outside seating area at the back near the (free) car park - it would be a hard place to pass by. It's a real come-on-in kind of place and, once you walk through the door, it just goes on getting better as you soak up the tasteful ambience and atmospheric smoky dark blue and deep cream colour scheme of this thoughtfully designed new establishment. It's a large building but, thanks to good design, it never feels overwhelming.The working heart (or engine room, depending how you look at these things) - the kitchen, barista station, pizza oven, chipper and the 'Mixologists Den' - are all arranged centre stage and the dining areas are cleverly wrapped around them in a series of rooms, each with its own special ambience. The two semi-outdoor areas are full of character too - and there's that Canine Cuisine menu again, on an old stone wall, to remind you that a drink of water is not always enough... Owners of all ages get well fed too, of course, with menus offered including a varied lunchtime à la carte, early evenng tapas, and the main à la carte - which includes a vegan and vegetarian section as well crowd-pleasing burgers, pizza, fish and superb meats, especially steaks. Meat lovers in for dinner will find the Hereford Beef Rib-eye steak with balsamic glazed onions amd roast cherry tomatoes hard to resist at a very moderate €22 (and the accompanying beef dripping chips with rosemary salt are a treat in themselves), and it's good to find pork done well - Rack of Pork, for example, is actually a juicy thick chop perfectly paired with a chilli mango salsa... Although it would be nice to see provenance given on the menu, there is no doubting the quality. And when it comes to dessert, don't miss the Chocolate Mousse - it's as light and tasty as any ‘mousse au chocolat’ you’d find in France. 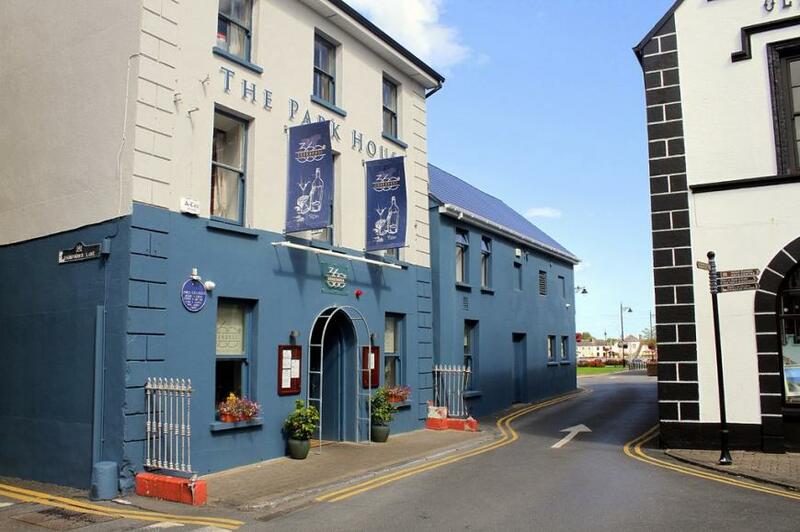 Great staff are a huge asset to this pleasing place - and a drinks menu that includes a Signature Cocktail Selection, local Dungarvan beers and a House Pale Ale is bound to impress. 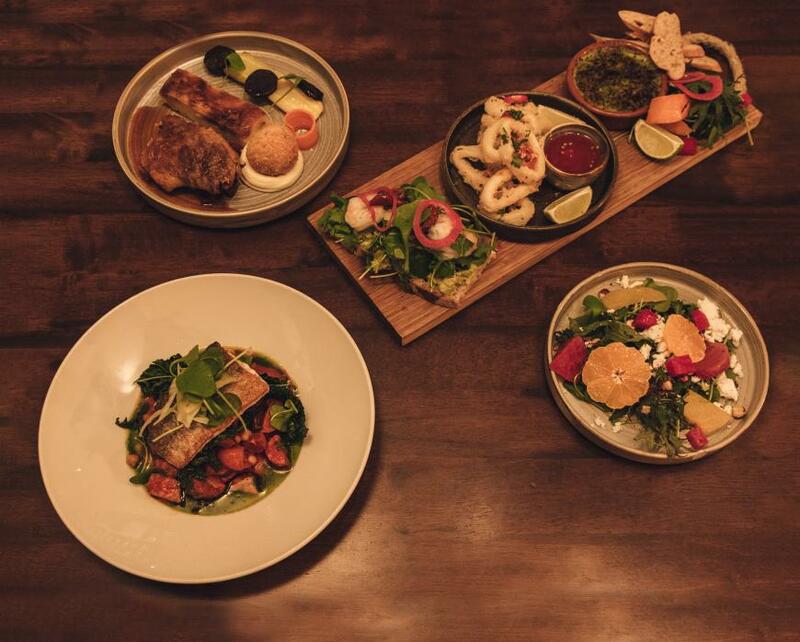 All round, from the pleasing ambience and exciting cocktail list to the varied menus and sound cooking, 360 Cookhouse is a fun and imaginative destination in the County Town. Town centre near castle. N25 west - Shandon Roundabout, 1st exit; next roundabout, 1st exit onto Davitts Quay; rght onto Thompson's Lane; left onto Castle Street. Complimentary parking at rear.